REMOTE TURN ON: The remote connection is a set screw terminal that will accommodate up to 8-gauge wire. The included 3mm Allen wrench is used to tighten and loosen the terminals. 4 Gauge Amp Kit Includes 1) 17Ft Blue Power Wire 4 GAUGE , (1) 15Ft. RCA 4 GAUGE , (1) Purple/Black Ground Wire 4 GAUGE , (1) OFC Speaker Cable 12 GAUGE, (1) BLUE Remote On Wire 16 GAUGE, (1) Wate Resistant Inline Fuse Holder AGU Type 4 Gauge, (1) AGU Fuse 80 AMP Gold Plated. 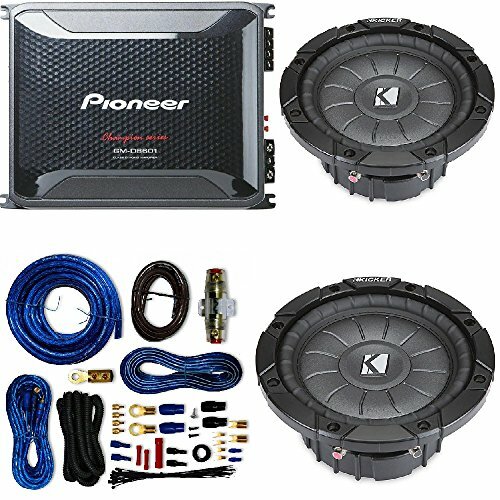 If you have any questions about this product by Cache, Kicker, Pioneer, contact us by completing and submitting the form below. If you are looking for a specif part number, please include it with your message.